Prof. Lê Văn Thiêm (29 March 1918 – 3 June 1991) was one of the most prominent scientists of Vietnam in the 20th century. 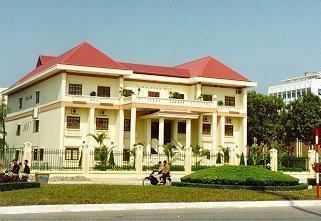 Together with Prof. Hoàng Tụy, he is considered the father of Vietnam Mathematics society. He was the first director of the Institute of Mathematics Hanoi, and the first Rector of Hanoi National University of Education and Hanoi University of Science. 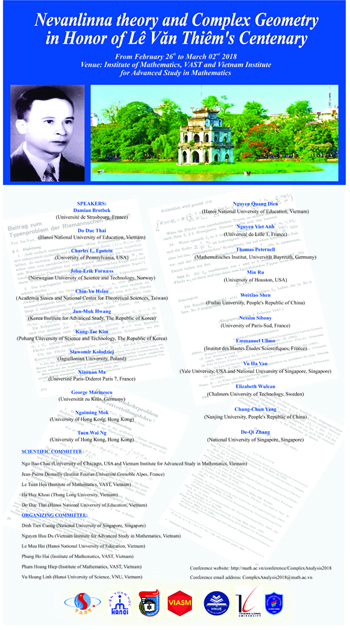 On the occasion of Prof. Lê Văn Thiêm's centenary, we organize this conference bringing together experts in Complex Analysis, Complex Geometry, Nevanlinna theory, Number theory and other topics, related to the current development of mathematics in Vietnam. Volumes in memory of Prof. Le Van Thiem will be published in the international journal Acta Mathematica Vietnamica with papers from all topics of mathematics. More information will be available soon.